Ruth and I have been delighted by the amount of snow that has fallen through this Winter. Okay, there have been some moments when I wanted to hang up my shovel forever, but for the most part it has been a delight. We're old enough to recall pre-climate change Winters in Southern Ontario, back in the days when the seasons weren't Spring, Summer, Autumn and Grey. We also lived in Northern Ontario for eleven years and quickly learned to embrace the outdoors opportunities of the season with our young family. The alternative was a serious case of cabin fever. Cold and ice and snow are transformative. They can literally alter the landscape, obscuring reference points, making some places inaccessible and others accessible. Snow can remake the dreariest thicket into a place of enchantment and surprise the most cynical heart with joy. Through the years I've pondered all this in the context of Ash Wednesday, the beginning of the Christian season of Lent. Ash Wednesday shifts around the calendar because of it's relationship with Easter, our curiously migratory celebration of Christ's resurrection. It can be as early as February 3rd and as late as March 9th. 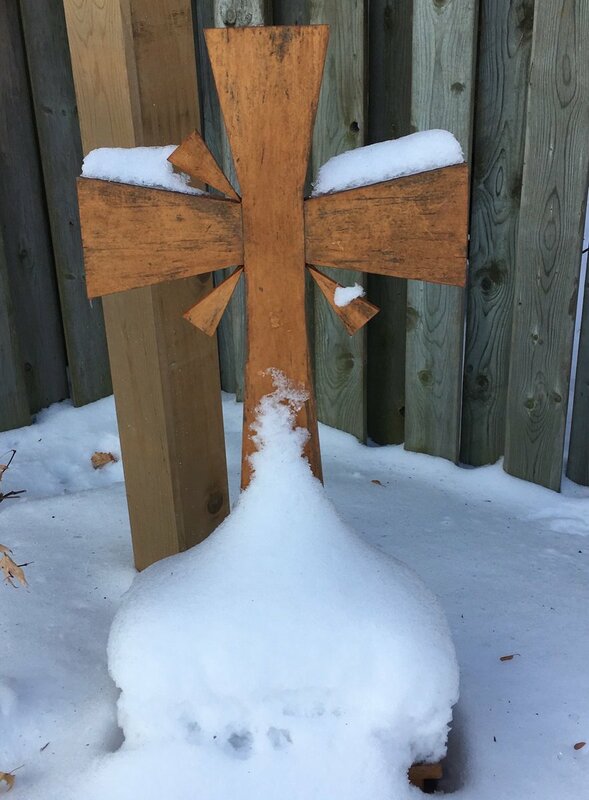 Still, for a lot of Canadians snow is at hand as Lent begins Through the decades of ministry I had just one Ash Wednesday cancelled because of a heavy snowfall and white-out conditions. It's important to have the "dirty forehead" aspect of Ash Wednesday, the contrition and repentance which open us to a new and clean heart and mind. I also appreciate the words of the Ash Wednesday Psalm, 51, where David is sufficiently convicted by guilt and remorse to seek a fresh start: "wash me, and I shall be whiter than snow." How often did David see snow in the course of his lifetime? It couldn't have been more than a few. In that respect the imagery is even more powerful. I hope that this Lent is a time for redirection and transformation for all of us. May Christ be with us on this journey. Happy sledding.